Google sold Motorola Mobility just a year and a half after buying it. On the surface, that seems like an admission of defeat. But selling Motorola is less a confession that it messed up, and more a tacit admission that there's no real need for Google (GOOG) to be making its own smartphones. Software licenses and driving people to search are how Google makes money on mobile. Selling smartphones, by contrast, has been a perpetual money loser for Google. 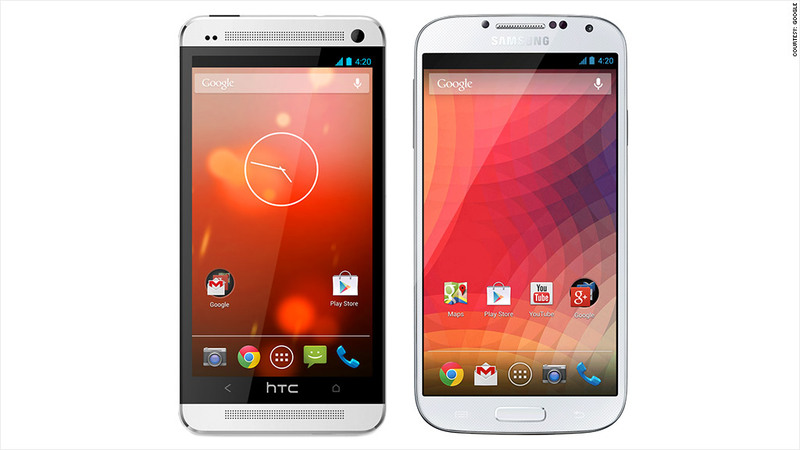 When Google started designing "Nexus" brand smartphones in 2010, smartphones were still by and large mediocre. Google needed to create its own hardware to show manufacturers how a smartphone should look, feel, and perform. Though Nexus phones themselves never overwhelmed in the sales category, the overall mission succeeded: Every major manufacturer now makes at least one top-tier phone with excellent performance. Realizing that practically any company can make a great smartphone now, Google is turning its attention to making sure the user experience on all of the top Android phones is spot on. That's something even the largest Android smartphone manufacturer, Samsung, has been struggling with. Software is now the major way for phone makers to differentiate their products. The problem for Google is that the best selling Android handsets have begun to de-emphasize Google's services, instead promoting the smartphone maker's often gimmicky services and apps. Google's sale of Motorola is likely part of a plan to take back ownership of its Android operating system. Russian blogger and analyst Eldar Murtazin claims that Google will abandon it's Nexus line of phone and tablets in 2015 and will instead focus on an effort to put its unvarnished Android software on popular devices, such as the Samsung Galaxy S4 and HTC One. Though Murtazin has a hit or miss record, a Re/Code report claiming Google is pressuring Samsung to abandon its custom Android software lends some credence to the notion. Though Android's open-source nature gives smartphone makers tremendous freedom to make their phones' software unique, Google's default Android experience remains substantially better than anything else out there. Google needs to protect that. Google was never going to do that with Motorola or Nexus phones, which only comprised a very small percentage of overall Android smartphone sales. Also by cutting ties with Motorola, Google is eliminating a source of tension with Android phone makers. Google can now restore any goodwill lost with its partners when it bought one of their rivals and get to work on making Android a better experience on all devices. So it makes sense that Google is offloading Motorola (except for most of the patents and the research department). It makes sense that Google wants to focus on third-party hardware. It makes sense that Google wants more control of the user experience on Samsung phones. That's because Google and Android smartphone makers aren't competing with each other as much as they're competing against a common foe: Apple (AAPL).